TouringPlans Everywhere – I’m Going to Tokyo Disneyland! Photo courtesy of Tom Bricker. Tokyo Disneyland has always been a bit of a mythological and mysterious place to me. In the late 80s and early 90s (before I had the internet in my home) I would always see glimpses of it in the old Disney News Magazines. The pictures I saw of the park made it look similar, but different enough that it always held my curiosity. Tokyo Disneyland continued to stay on my mind in 2001 when Tokyo Disney Resort’s second gate opened, DisneySea. 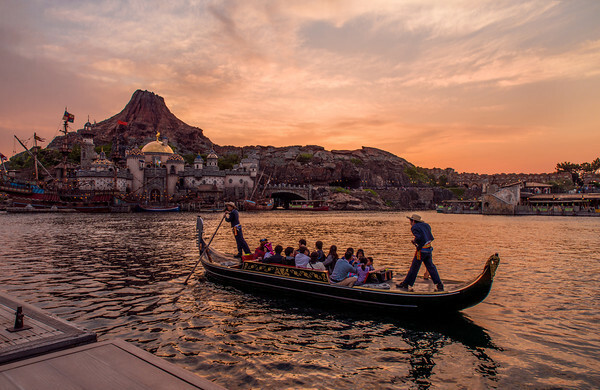 Every picture I’ve seen of DisneySea make the park look absolutely spectacular. Anyway, back to the Tokyo resort being mysterious to me. I think one of the most daunting tasks most people have when they think about visiting Tokyo Disneyland is that they don’t even know where to start with their planning. I know I was the same way. Hopefully this and future blog posts I write on this subject will help you plan a trip to Japan. That’s my goal. I’m a native to Los Angeles, California, and have been visiting the original Disneyland since 1986. This will not only be my first time visiting Tokyo Disneyland, but also my first time traveling out of the country. My wife will be making the trip with me, and because it also her first time in Japan, we will take advantage of doing some non-Disney sightseeing in Tokyo and Osaka. Before we started to book hotel rooms and airfare we needed to nail down the length of our stay and the exact travel dates. My wife and I both have fairly flexible work schedules and no kids to worry about. The only thing determining our length of stay is money. After making estimations on how much money we’ll need for the rest of the year (for things like mortgage, food, entertainment, etc.) at home, we got a rough idea of how much money we could actually afford to spend on this trip. We also made a short list of things we wanted to see, even though we knew we would have to cut most of them due to lack of time. In the end we determined we could stay eight nights in Japan. In the future I’m planning on writing a blog post going in depth on how to we budgeted our trip. After much debating we decided on spending four full days in Tokyo Disney Resort, two days in Tokyo Disneyland and two days in DisneySea. Other plans include one day sightseeing in Tokyo and one day wondering around Osaka (including Osaka Castle). We are also spending a day visiting Universal Studios Japan (which is also in Osaka). I’m a huge fan of Back to the Future and unlike the American Universal parks, they still have Back to the Future: The Ride. As you can see our schedule will be jam packed. At some point in our planning I found out that my good friends Tom and Sarah Bricker were also planning a Japan trip around the same time. I talked to Tom and we decided to meet up about halfway through our trip and make the rest of the journey together. We also realized that separately we wouldn’t be able to afford more than a single night in any of the official Tokyo Disney Resort hotels (Disneyland Hotel, MiraCosta, and Ambassador Hotel). We came to a decision to split the costs of a few nights in the Disney-branded hotels to be able to stay longer. Which brings me to my next point, lodging. Tokyo DisneySea’s Mount Prometheus. Photo courtesy of Tom Bricker. If you’ve ever been to or even thought about making the trip to Tokyo, you know that the Disney-branded hotels on property can be extremely expensive. A single night in either the Tokyo Disneyland Hotel or MiraCosta were well over $500 during my travel dates. Thankfully the non-Disney hotels on property are surprisingly affordable. For the first three nights of our trip we will be staying at Hilton Tokyo Bay, which is located inside the Tokyo Disney Resort. A huge benefit of this and other on-site, non-Disney hotels is that they all share a monorail station that takes you to the theme parks. They also have beautiful views of either the Pacific Ocean or the theme parks. All this came at a price averaging at $171 a night. We still wanted to at least experience the Tokyo Disney Resort hotels, so we will three stay nights the Disney-branded hotels. Like I said before, my goal is to help others plan trips to Japan. At some point I will be writing a post outlining how my wife and I budgeted our trip. But until then feel free to ask any questions below or email me: Guy at TouringPlans.com. Other than budgeting I’ll be writing posts about my expectations of Tokyo Disneyland and touring Japan in general. Visiting Japan has always seemed to out of reach to me, so to finally be able to do it is still a bit unbelievable. I’ve heard stories and seen pictures from friends that have visited Tokyo Disneyland about how spectacular DisneySea is. I can’t wait to see it after all the planning and years of waiting. I’ll also be writing a post or two when I’m there and then few follow-up posts comparing the Japanese parks to the American parks. Other than that I’d love to hear your experiences about traveling to Tokyo. Is there anything I must see in or out of the parks? Food is a major part of Tokyo Disney Resort and its locals, what do you recommend I eat when I’m out there. Leave comments in the section below along with any other requests or questions you may have. Magellan’s was a great dining experience in Disney Sea, as was the Teddy Roosevelt Lounge. We liked Restaurant Hokusai at Tokyo’s World Bazaar too – table service theme park dining at less than USD20 per person. Steer clear of typical western dishes such as hamburgers and hot dogs, since you can get those anywhere and they are slightly off at the Tokyo Disney Resort. The only truly inedible food we had at DisneySea was Sebastian’s pizza, topped with onion and half Vienna sausages. Good suggestions, thanks. Magellan’s and the dinner show inside Diamond Horseshoe are the two dinner reservations we have made so far. Still amazed at the shallowness of people who travel to Japan to visit Tokyo Disneyland/Disney Sea’s and, almost as an after-thought, add on 24-36 hours to explore the “rest” of Japan. The parks are part of the culture they’re in, and a failure to understand this is why so many Disney blogs/bloggers are so vapid. We all get a limited amount of time and money to spend on vacation. Criticizing someone for only spending one additional day in Tokyo and one day in Osaka is a bit ridiculous, since most of us don’t have unlimited funds and four weeks of paid vacation. It sounds like you don’t understand that Disney bloggers make their living by blogging about Disney-related things. The purpose of this website is to be a Disney trip planning tool. Plus maybe some people are just in to different things than you are. Your failure to understand this is why people like yourself are so vapid. Hey Mike, what’s your email address? Have some itineraries I need to run by you so I can confirm that they have the requisite level of depth required for travel. P.S. My sincere apologies for not doing this with past trips. I didn’t realize until now that you were the ultimate arbiter of how folks spend their leisure time. I am dismayed at all the negative and nasty comments lately, mostly aimed at the new bloggers. I am from Australia so don’t get to visit the parks very often (4th trip coming up early December! )and I love reading all the informative and entertaining blogs. Thankyou to all the authors (new and old) and keep up the great work! To all you people who feel the need to be critical and nasty – do everyone a favour and keep your comments to yourself. Good for you stepping outside of your usual stomping grounds and trying something (even if it may be somewhat familiar) in another country. I spent a year living in Japan as an exchange student and enjoyed myself thoroughly. I travel to Asia for work purposes frequently and my wife often makes jokes I spend more time abroad then I do at home. Best advice I have for Japan is always keep your head, be polite and calm in your conversations with locals, even if things are not going your way. I found I always received more help, consideration and respect. In the parks and some tourist areas I’m sure the cast members will be expecting you to be bursting with excitement, but outside those places keep it calm and professional. Trust me, it makes a difference. That is some very good advice, thank you for sharing. I definitely plan to be respectful and keep a low profile while overseas. I went to Japan two years ago, and I left the Disney Parks for my last two days there, because I thought that if something went wrong on the previous days, Disney was the “less important” place to go and I could rearrange my itinerary to use these two final days in other ways. And now here I am planning a whole vacation to Disney World for the first time exactly because Tokyo Disneyland exceed all my expectations! One restaurant I really loved was the one about the Queen of Hearts. I’ve never been to another Disney park or restaurant, so I can’t tell how it compares to other Disney restaurants, but I was completely amazed by the decoration and the thematic food (I got a hamburguer and a strawberry mousse both shaped like hearts – I don’t even remember how they tasted, but eating heart shaped stuff in the Queen of Hearts restaurant was so much fun). Good advice, thanks! The character-centric nature of Tokyo Disneyland versus DisneySea is a great point that I should bring up in my future posts. I know a lot of people are also interested in that. Have a great trip! We visited in 2008 and it was the last of the 11 Disney Parkes we visited. DisneySea is amazing and represents a park most of us can only dream about. I spoke with Marty Sklar a few years ago and he said that part of the agreement with the powers that be in Japan is that elements of the park cannot be reproduced elsewhere. Try the salt and pepper popcorn. A bullet train to Kyoto should be part of your trip. I can’t wait to try all the special popcorns! Actually I’m looking forward to trying a lot of different food items in the parks out there. Can you try and post a basic crowd calendar and touring plan? Not expecting anything fancy like the US parks, but something like- avoid these Japanese holidays, and X, Y, Z months; A, B, C rides get the longest lines, so hit them first. I’ll see what kind of information I can gather from my trip and hopefully I can come up with some sort of useful touring plan. I travel to Japan usually once a year on business and the bus to the airport goes past Disneyland but I’ve never had chance to actually go. My tip for Japan is to learn how to say “Thank you” in Japanese. It’s part of my limited Japanese vocabulary but it always seems appreciated. Good luck with the trip. 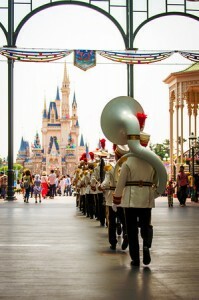 TDR – and especially DisneySea are amazing (went there in May!) and at three days there I feel I BARELY got most of what I wanted done. (Of course insane rain on day 2 that resulted in almost every show at TDS being cancelled did not help.) But I do hope you are giving yourself time to deal with jetlag. I thought I had it licked by my first day at Disney, but it turned out a full day of park touring and BANG, jetlag came back with full force. I’m so excited for you! They’re such wonderful parks (I’m trying to convince my wife to go in 2016, having done a solo trip this past January). One of the biggest anxieties I had was getting around given my lack of Japanese language skills. That wasn’t a problem in the parks at all, or on the subways. For example, making my way from NRT via the Narita Express (the bus is much easier, but I would’ve had a long wait for one) was straightforward though with a lot of walking to transfer to the line for Disney. A food tip for outside the parks is try the ramen at Tokyo Station’s “Ramen Street.” That’s a collection of different ramen shops within the station. A bowl at Rokurinsha was about $10, and I still think about returning there it was so good! I’m so excited for you! They’re such wonderful parks, and I’m trying to talk my wife into visiting in 2016 (after having done a solo trip this past January). One of my biggest anxieties was a lack of Japanese language skills. That wasn’t a problem in the parks at all, with good bilingual signage. The transit system is also good with this — getting there from NRT on the Narita Express was straightforward (though with a lot of walking to connect to the Disney line). A food tip is visit “Ramen Street” in Tokyo Station. It’s a collection of little ramen shops, and I still think about the amazingly rich, flavorful bowl I got for little more than $10 at Rokurinsha. I was fortunate on the second trip to be there during a slow period, a week before a major holiday. Prepare yourself for crowds like you probably see in Florida only in the very heights of summer. On my first trip, during July, it was not uncommon at DisneySEA to see wait times of a couple of hours for some of the biggest attractions (Journey to the Center of the Earth, the Indiana Jones coaster). However, for both parks, there is just so much atmosphere that you can forego some of the attractions and just wander around. I have been to every Disney park, and one thing notable about Tokyo is the limited amount of English. Unlike tri-lingual Hong Kong and usually at least bilingual Paris, virtually everything spoken is Japanese only. That can make restaurants and shopping a bit of a challenge at times. Pointing and extensive “domo arigato” goes a long way!